A female stunt driver died on Aug. 14 on the set of "Deadpool 2." The motorcyle stunt was being filmed in Vancouver, Canada. 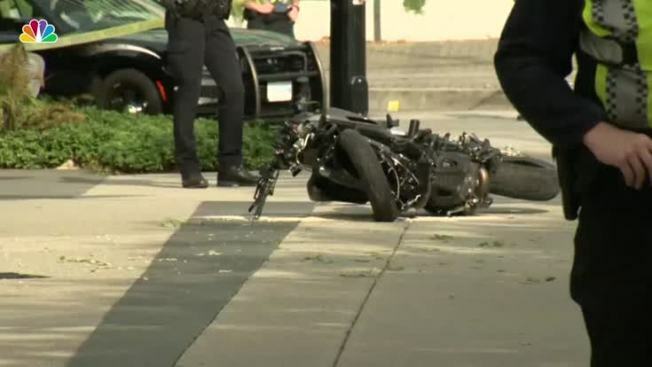 A female stunt driver has died after a motorcycle crash on a set for the movie "Deadpool 2" in downtown Vancouver, police said Monday. Witness Sharmina Kermalli said she had just walked into a Starbucks next door to where the accident happened when she heard a loud crash. She ran out of the coffee shop and saw glass still falling on the body of the woman. Police said officers were at the scene and investigators with WorkSafeBC, the provincial workplace safety agency, were also looking into the crash. Deadpool, a Marvel Comics superhero, is played by Vancouver-born actor Ryan Reynolds.